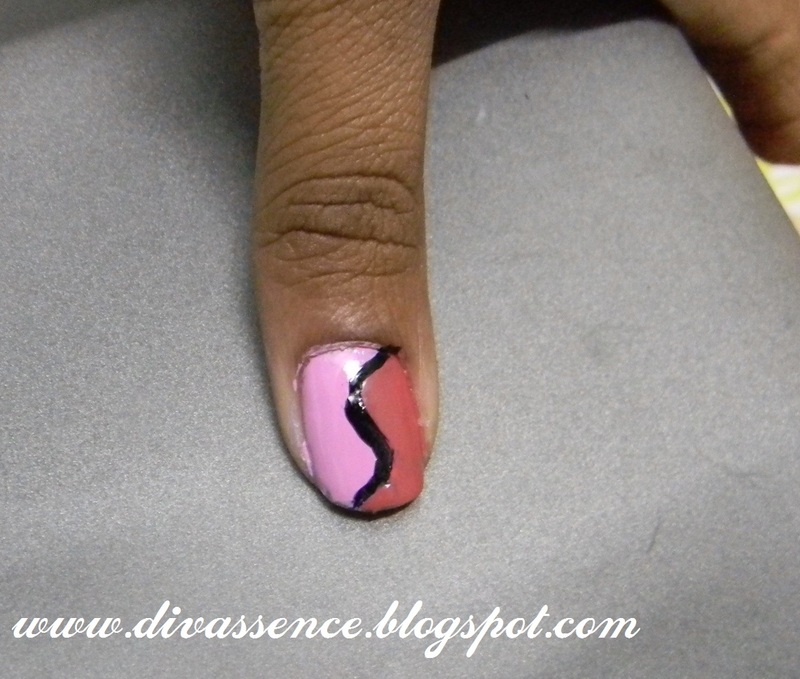 A Simple and Quick Nail Art for Beginners - Divassence! Hi ladies, today I sat down to do some nail art on my not-so-big nails but at the same time was feeling little lazy too. But my laziness still made a way to simple yet presentable design. 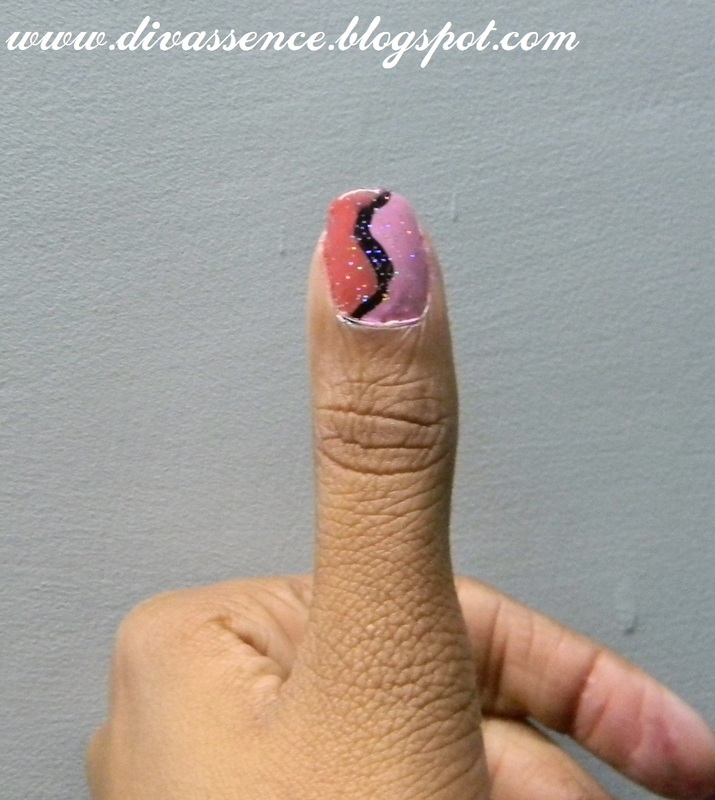 So want to share my simple nail art with you guys too. Let’s start with cleaning and painting the nails with transparent nail paint. 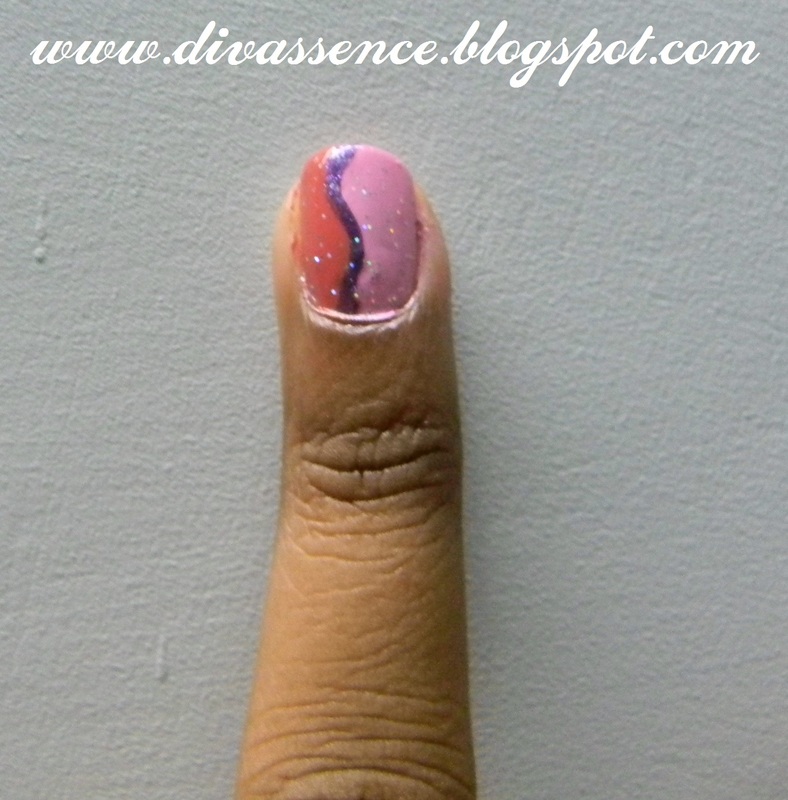 I have used Lotus ColorDew “Pink Doll” here. Now, paint the other half with opaque brownish color. This is the correction step actually. 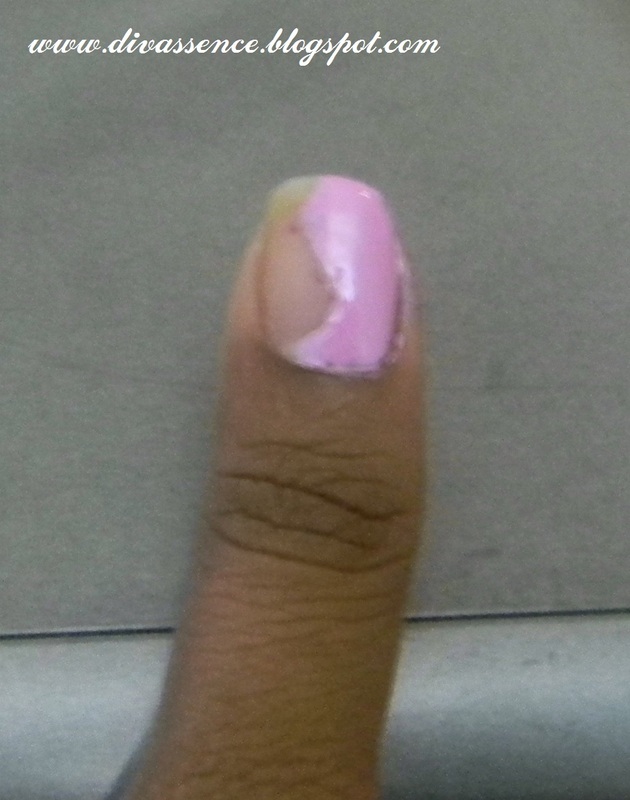 If you couldn’t make a perfect “S” with the pink color or you’ve painted more than the half of your nail with pink color (which, by the way, happened with me), you can correct it with brown color. Don’t worry brown being the darker color won’t let pink to show from beneath. Sorry, I couldn’t show the picture of this step as the pictures didn’t come out well. No problem you’ll get the idea from next step also. My design has become neater, isn’t it? That’s the magic of the black line (you’ll know when you’ll make it). This line will make the colors more distinguished and clean. I’ve used Lotus colordew “Peach perfect” as brown color and some local black nail paint. And its done!! Simple isn’t it? Yet I find it cute not just presentable. For beginners this will be a safe bet. I’ve tried using some sober color also in place of black to see if it can become less loud. But I think black was better. What do you think?